In the busy world we live in, there is more reason than ever to pay particular attention to our health and well-being. Diet, fitness, exercise are all part of a healthy lifestyle; however a restful nights sleep is the CORE to today's modern healthy lifestyle. Combining the latest in encapsulation technology and the 3000 air suspension individual pocket spring unit. The thick layer of luxury memory foam, developed to ensure restful sleep is incorporated into the bed for a supportive sleeping surface also combined is a fantastic removable cover with TENCEL for that silky smooth luxury feel to complete the perfects nights sleep. The mattress is superb, I can't get my dog off it, although he isn't allowed on the bed. Good description, no nasty surprises. 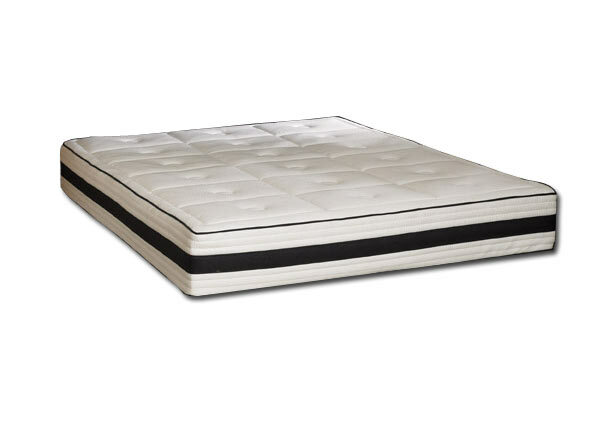 Never had a better night's sleep, love this mattress. 1st class communication.